Snoring can do more than just be plain old annoying. When a snorer stops breathing for brief moments repeatedly, it can lead to cardiovascular problems and be life-threatening. This is why when you snore, you really need to take it seriously and try to get some help for your snoring so you can stay healthy for a long time. When you stop breathing at night, you are likely not breathing between 5 and 30 times per hour or more when you are sleeping. These episodes will wake you up as you gasp for air. When you wake up and do this, it will prevent you from getting a full restful night of sleep and is associated with high blood pressure, heart arrhythmia, stroke and heart failure. 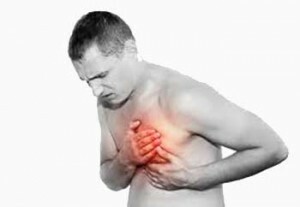 Snoring is associated with obesity and obesity is also a major risk factor for heart disease and stroke. Heart disease is the leading cause of death in the United States. As you can see, snoring can be a very serious problem. According to the National Sleep Foundation (NSF), more than 90,000,000 American adults stop breathing at night because of their snoring (http://sleepfoundation.org/sleep-news/25-random-facts-about-sleep). The older a person gets, the more likely they are to snore. The NSF reports that, 'The two most common health effects that are believed to be casually linked to snoring are daytime dysfunction and heart disease. 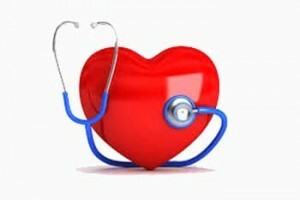 ' Heart disease, as noted, is the number one killer in the US. The main symptom you are going to notice at first if you need treatment for your snoring or sleep apnea is excessive daytime sleepiness, but it can cause more severe problems that you are not going to want to deal with later. It is very important to get proper treatment if you are snoring at night and find yourself occasionally ceasing to breathe. There are many devices that will be able to help you if this is the case. If you are stopping breathing a lot when you are sleeping, you may need to wear a CPAP machine but it will be treating your snoring, so it will not lead to different kinds of cardiovascular risks. The CPAP device involves wearing a mask while you are sleeping at night. The machine will keep air pressure in your breathing passages open so they do not close down. Most people are able to adapt to these machines fairly easily. People that snore and quit breathing have sleep apnea but there are some people that are just loud snorers; still, it is worth getting diagnosed properly. The treatment that keeps your breathing passages open and oxygen flowing can yield very quick results. When you get the proper treatment for your snoring, your blood pressure will come down very quickly. There are many different cardiovascular diseases that snoring can lead to. High blood pressure, stroke, coronary heart disease and irregular heartbeats are more common among those with disordered sleep than compared to people without some type of sleep abnormality. For many people, when a person has sleep apnea (which usually starts out as snoring), it is an important predictor of cardiovascular disease. The American Heart Association states that snoring and sleep apnea causes restless sleep and is linked directly to heart arrhythmia, stroke, high blood pressure and heart failure. The link between snoring and heart disease is rapidly coming up more and more as research continues. People with cardiovascular problems such as high blood pressure, heart failure, and stroke have a high prevalence of snoring and sleep apnea. If you snore and have sleep apnea, the chance that you will develop hypertension in the future is pretty strong. When people with high blood pressure and snoring issues or sleep apnea are treated, the measures of your high blood pressure are significantly improved. There is very good evidence between hypertension and snoring or sleep apnea. This is another reason why it is extremely important to get your snoring treated today. Your blood pressure will go up when you snore because you are not breathing the way you should be and your body is stressed. The oxygen level in your body is falling and alerts your brain – snoring is your body's way of helping you at the time. When people are treated with CPAP machines, their blood pressure is not only lower at night but also during the day, which is a good thing. With proper treatment of your snoring and sleep apnea, your chances of improvement are very good. According to a 2013 study conducted by Detroit's Henry Ford Hospital (http://www.henryford.com/body.cfm?id=46335&action=detail&ref=1815), snoring is a bigger risk factor for heart attack or stroke than other common risks (such as smoking, high cholesterol and obesity). For some people, snoring can indicate carotid arterial damage, which affects the amount of oxygen that will reach your brain. A study by researchers from Brigham and Women's Hospital in Boston (http://www.brighamandwomens.org/Departments_and_Services/medicine/services/sleepmedicine/basic_research.aspx?sub=2) has shown that snoring and obstructive sleep apnea is associated with markers of cardiovascular disease, indicating some damage to your heart. 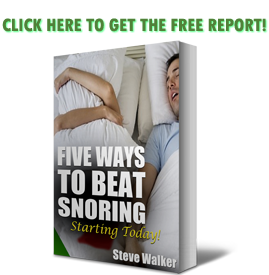 It is a fact that snoring can lead to cardiovascular risks. This is especially true if you are snoring at night and also have sleep apnea. It is very important to get your snoring or sleep apnea diagnosed and treated, if necessary. Your snoring can lead to things such as high blood pressure, heart attack, stroke, and more. You may not want to wear a CPAP machine but it is going to be worth it in the long run so you do not damage your heart.